This paper describes the development of a system for the automatic detection of spiculated masses in digital mammography. 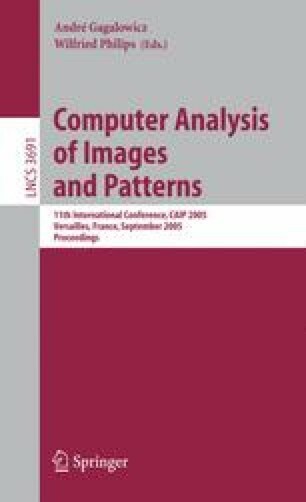 We have adopted the lattice space as an image domain model and a distance measure to describe image shapes precisely in pixel scale. Based on the model, we have developed a method to automatically determine binary mass shapes. The method is robust against noise and background brightness of mass region. We also have proposed a novel method in mapping a mass shape into a one-dimensional profile, and then quantified the irregularity of the mass shape by calculating the fractal dimension of the profile. Preliminary experimental results support the hypothesis of the spiculation detection performance of the proposed method would show a possible solution for finding spiculated masses.